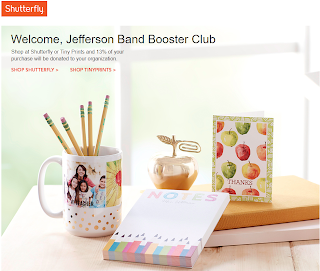 Shop Shutterfly and Tiny Prints through our storefront and 13% of your purchase will go to JBBC! Simply go to jhsbands.shutterflystorefront.com and start shopping! About Shutterfly: Shutterfly helps you make the most out of life’s most memorable moments. As a leader in personalized photos and services, we allow you create lasting keepsakes; award-winning photo books; custom stationery, including cards, announcements, and invitations; as well as unique home decor and photo gifts. Anyone can shop through our site – so let friends and relatives know too! This is a general fundraiser for the bands. © 2019 Jefferson Band Booster Club. All Rights Reserved.